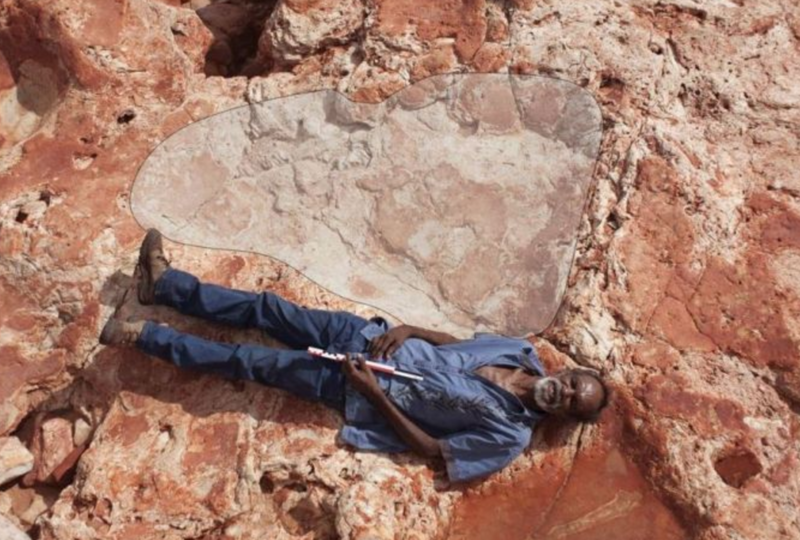 A group of paleontologists at the University of Queensland have found the world’s largest dinosaur footprints, and, as these images and video from lead researcher Steve Salisbury show, they are terrifyingly large. The new record-holder is 5-feet-9-inches long! The team believes they belonged to a sauropod—one of those long-neck plant-eaters. Salisbury’s team spent more than five years exploring the coastal area of Western Australia where they found the giant tracks.